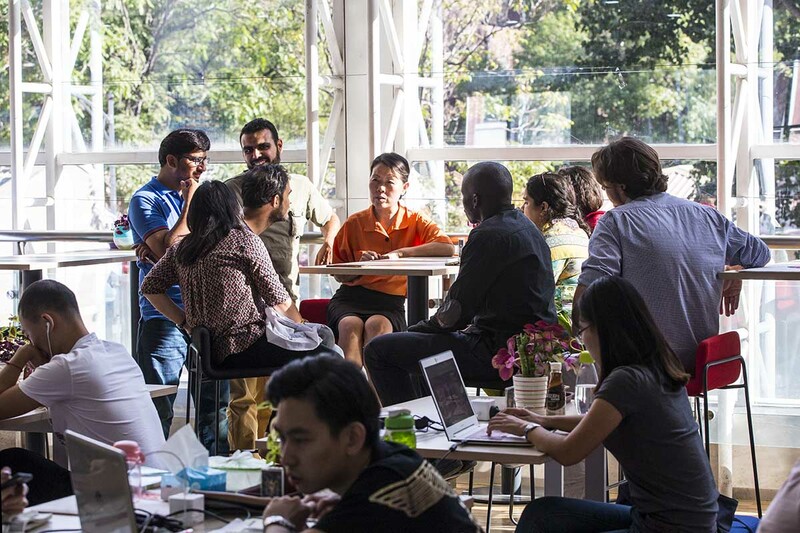 Feng talks with international students to see how they are doing. It wouldn’t be hard to run into her someday outside the teaching building of the School of Pharmaceutical Science and Technology (SPST) under Tianjin University: She often takes a yellow shared bicycle to work and is known for persistent smiles and a tender voice but firm resolve in her eyes. Feng Cuiling is secretary of the school’s CPC committee, a post that proved a challenge when she first accepted it in 2003 as the SPST teetered on the verge of breakdown. Her joint efforts with two foreign deans brought dramatic changes to the school after the implementation of teaching reform. “She is my most reliable partner,” declares Jay Siegel, the school’s current dean from the United States. Feng Cuiling suffered her first big blow the day after she took office, when dean Zhao Kang claimed to quit. Zhao had lived and worked in the United States for a long time, and he returned to China to establish the SPST in 2001. Over the previous three years, the school’s operations had deteriorated severely due to differences in management philosophy between Party and administrative leaders. Feng eventually persuaded him to give it another shot, and they got to work. She performed a lot of research among teachers and students, brainstormed plans for reform with the dean, and communicated with every department. Her unremitting efforts produced solid results. Most of the undergraduate and post-graduate classes at the school were soon taught in English. The number of practice courses was increased. A circulation system was established to enable graduate students to work with tutors in different laboratories and increase everyone’s choices. As for improvement of the teaching staff, the school started offering great autonomy, allowing teachers to enjoy an assessment system instead of lifelong employment under contract in addition to evaluation in the form of annual reports. Unfortunately, in December 2001, Feng Cuiling was diagnosed with a malignant tumor and serious breast cancer. After a year of chemotherapy, she went into recovery and started her work at the SPST. “I’m so honored to be appointed to serve as Party secretary,” she exclaims. “It’s about trust and credibility.” In 2011, her breast cancer relapsed and worsened. Feng still didn’t stop working and maintained her big smile even while wearing a wig to the office. Since her tenure as secretary of SPST’s CPC committee in 2003, Feng Cuiling has improved mutual understanding conducted constructive work with two foreign deans, making great contributions to the reform of international education. In 2013, to welcome new dean Jay Siegel, Feng Cuiling researched Siegel’s favorite colors and styles from photos of him from his tenure at the University of Zurich, his previous employer, to prepare a comfortable office for him in advance. After the arrival of the new dean, the school began large-scale recruitment of foreign teachers, hiring about 10 in one year, which exerted great pressure on Feng. A seemingly innocuous incident sent her into a frenzy: One teacher had been in the office for many days but still lacked a wastebasket. Feng immediately organized office meetings, re-arranged the reception process for foreign teachers from airport pickup to office layout and created a detailed address book and survival guide. Now, nearly half of the school’s faculty of 80 are foreign teachers from 18 countries and regions. Mark Olsen, an American professor, remarked that Feng’s “meticulous work” made him feel comfortable and happy to work in China. To help freshmen solve academic confusion and difficulties in life, the school implemented a mentoring system: Every teacher provides two to three students with professional guidance and each outstanding upperclassman mentors a dormitory of freshmen. Students who fall behind receive more attention from Feng. 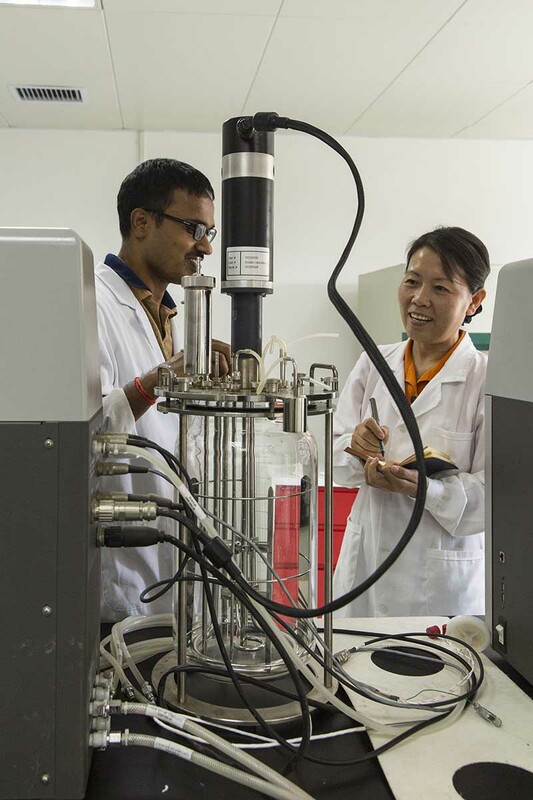 Feng works with postdoctoral researcher Nanjaraj Urs AN from India in a biology lab. These examples left Feng feeling like all Party members love to contribute their time and energy to serving others. 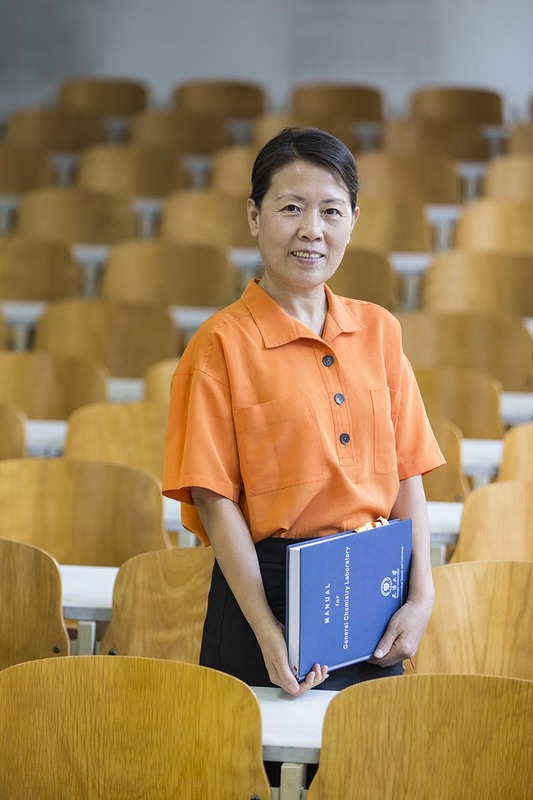 Her sophomore year, Feng became the first student in the class to apply for admission to the Party. Over the past 14 years under her leadership, SPST’s Party committee has grown from one branch to 10 today, producing over 400 Party members. At present, some 170 Party members can be found among faculty and students, and they play a leading role in the school’s basic services. The school’s Party branches often invite foreign teachers to participate in campaigns such as visiting the memorial halls for Zhou Enlai and Deng Xiaoping, two key Chinese statesmen, and the Memorial Hall of Beiping-Tianjin Campaign, to learn more about the Party’s history. In accordance with Party-building studies, Feng bought Dean Siegel an English-version of Xi Jinping: The Governance of China, which he finished reading during his holiday and responded by praising Xi’s Belt and Road Initiative.